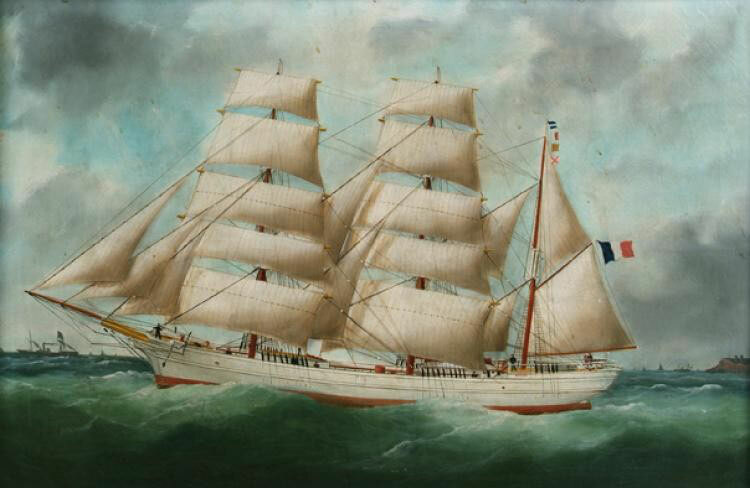 The Nemesis, the ship which inspired the one featured in the novel, was a three-masted bark built in 1875 by the Tillé navy yard in Nantes. 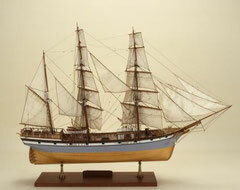 A three-masted bark is a three-masted sailing ship whose foremast (at the front) and mainmast (at the center) are square-rigged. The mizzenmast (at the back) is rigged with a spanker (trapezoidal mainsail) and a gaff sail (also trapezoidal). (source: Wikipedia). Excerpt from Les derniers voiliers antillais (The Last Caribbean Sailing Ships), by Louis Lacroix, Editions Maritimes et d’Outre-Mer, 1945). Up until the end of sailing ships of small tonnage around 1914, these ships sailed from our ports with their holds full of diverse merchandise consisting primarily of heavy and cumbersome materials such as iron bars, architectural components, cast iron parts, machines, construction timber, cement, lime, bricks, barrels of oil and paint, rope, hardware, and carriage works. The remaining space was filled with diverse merchandise: wine, beer, spirits, liqueurs, flour, cured meat, fabric, soap, crystal, porcelain, china, ceramics, glassware, jewelry, cotton material, clothing, hats, fashion articles as well as food and supplies of all kinds, e.g., corn, rice, butter, cheese, and smoked ham. At times, more than three hundred different sorts of items would appear on the ship’s cargo manifest. They would sometimes take a full load of coal in England and then load from our shores* or Argentina livestock and mules with ballast of cobblestones, granite, dimension stones, and other heavy materials, such as relatively modern weaponry (cannons) for shipping to Haiti. The machines were usually destined for Cuba, as were the construction timber, wine, brandy (eau-de-vie), livestock, cured meats, and oils; Cuba imported enormous quantities of such items, as did Guadelpoue, Saint-Domingue and Martinique. A large part of the cargo’s remainder was unloaded as well, or was taken by the coastal workers loading for other places in the Caribbean Sea. 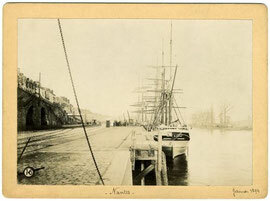 When their holds of relatively small capacity were empty, the sailing ships would take a full load of sugar, tafia, or rum to Cuba, Jamaica, Haiti, Guadeloupe, Martinique, or Puerto Rico. When the sugar season was over, they would find coast cabinet-making wood in Cuba, in Saint-Domingue, and on the entire: mahogany, staining woods, logwood or annatto, and guaiac. For want of cargo at the ready, they had copper ore from Cuba, salt from the Turkish islands, asphalt and mineral pitch at La Trinité, coconut, and tortoise shells. In Maracaibo, they would sometimes load a large ballast of ebony along with these famous staining seeds called “dividiri;” however, a light load was required to maneuver out of the Gulf’s shallow waters. 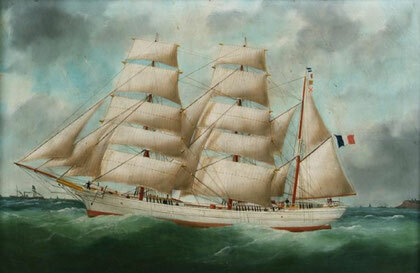 Louis Lacroix, Les derniers voiliers antillais, (The Last Caribbean Sailing Ships), Editions Maritimes et d’Outre-Mer, 1945.